The college will carry out reviews of students’ performance at certain times of the year. These gather together the information held within eTrackrILP and allow teachers to make further comments. At the bottom of the Student view, a box lists the courses and dates of the reviews (see example below). 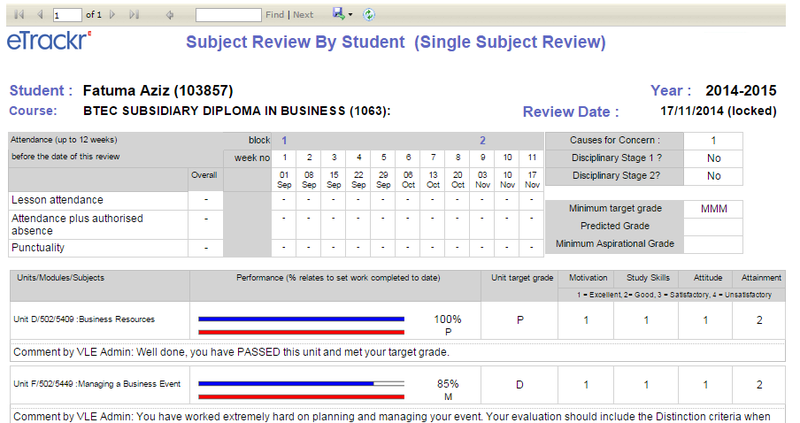 You can see full details of the reviews by clicking on the blue hyperlink under the column ‘Course Name’. A pdf file of the Subject Review will be downloaded to your computer.